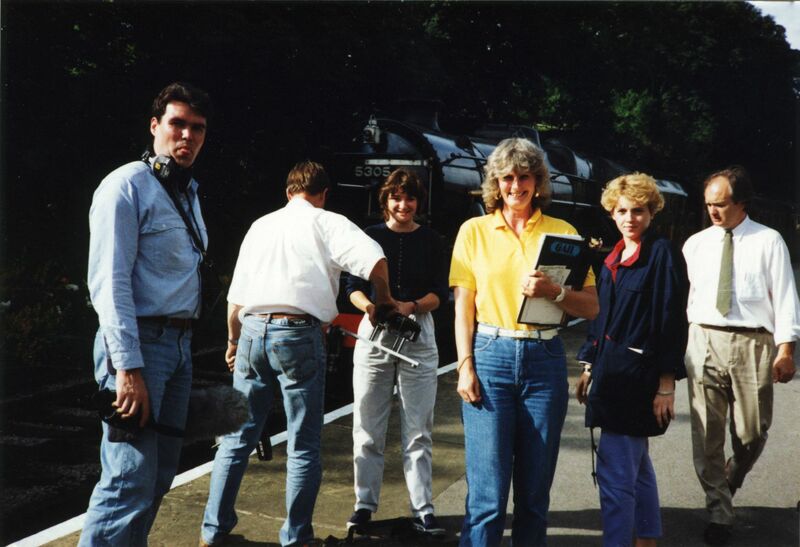 These photos are of a location shoot for ‘Gardeners’ World’ in 1991, shortly before the series stopped being a BBC Pebble Mill production and became an independent production with Catalyst Television. 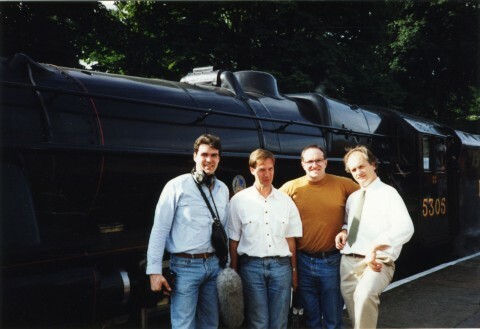 The first photo shows (left to right) Tony Wass (sound), Eric Wise (camera), Herbie Donnelly (sparks), Denis Jarvis (director). The second photo shows (left to right) Tony Wass (sound), Eric Wise (camera), Karen Lamb (director), Gail Herbert (PA), Caroline Officer (researcher), Denis Jarvis (director). The location was Keighley in North Yorkshire, and was I think about railway station gardens. This station is on the Keighley and Worth Valley line, which is called ‘The Railway Children’ Line.